DIY Classroom to the rescue — smart, teacher-tested ideas, templates and lesson plans for the classroom on a shoestring budget! Each book is loaded with creative, thrifty, inexpensive (or free!) 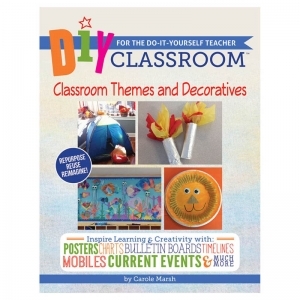 effective ways to teach, decorate and celebrate. Great environmentally friendly tips that make the most of everyday items. 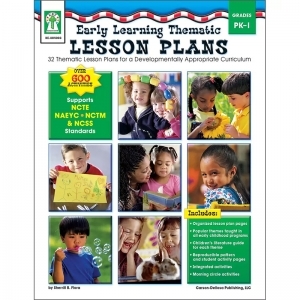 Encourage a love of learning in students in pre-kindergarten through grade 1 with Early Learning Thematic Lesson Plans! 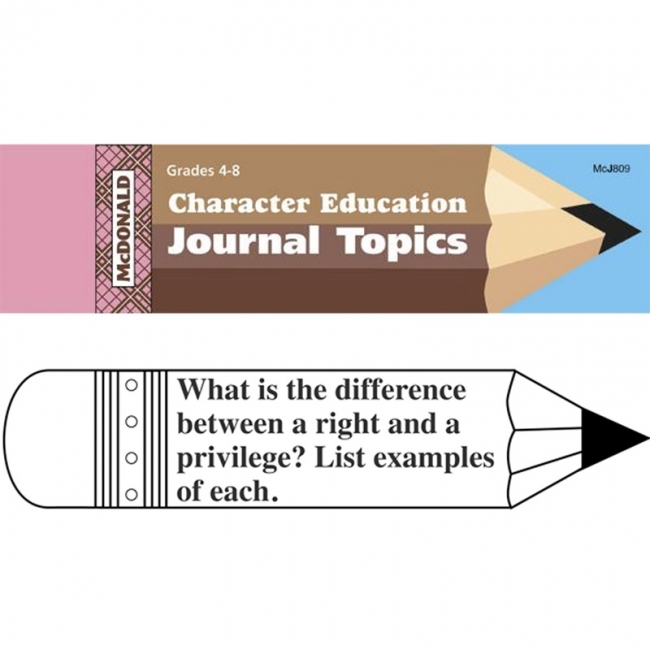 This 160-page resource engages young learners with 32 weekly themes and more than 600 developmentally appropriate activities. All of the research, planning, and scheduling has already been done. Just open the book, choose a theme, and start teaching! The book includes these resources: reproducible pattern and student activity pages, morning circle activities, a guide to children's literature, and integrated activities. This book supports NCTE, NCTM, NCSS, and NAEYC standards. For PreK-Grade 1 / Ages 4-7. Describe the piece of your own artwork you are most proud of. How would you define art? 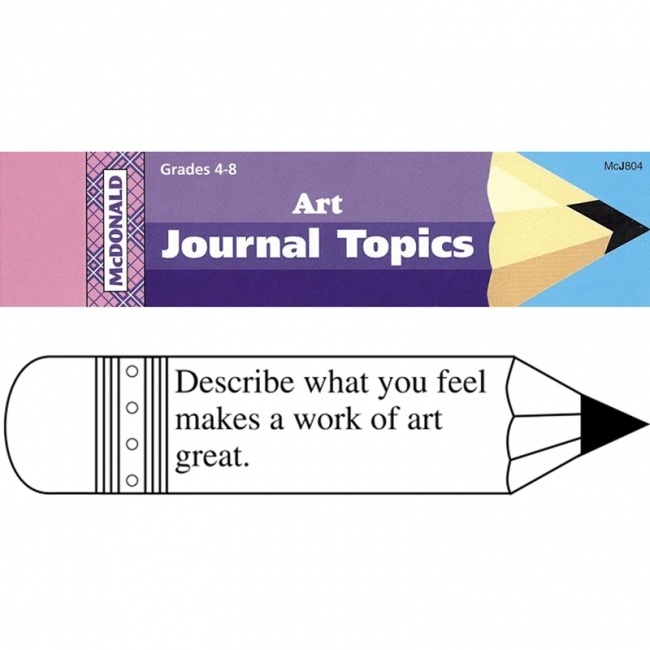 These are just two of the 200 topics in the Art Journal Booklet that will get your young artists writing about art. For grades 4-8. "Imagine that Beethoven has just heard a recording of work by your favorite musical group. Write his reaction to the music." 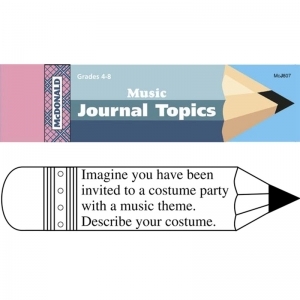 "Imagine that you have been invited to a costume party with a music theme. Describe your costume." Writing and music will come into harmony with these 200 super music-related writing starters in the Music Journal Booklet. For grades 4-8. Why are individual strengths good for group success? Why do manners matter? These and other terrific starters will help students build writing skills as they build character. The Character Education Journal Booklet contains 200 super journal topics. For grades 4-8.